Crush digestive biscuits and make it in a powder form like a flour. In a bowl add condensed milk and coffee powder into it and make a tight dough and keep aside. In another mixing bowl, take coconut and condensed milk and make a tight dough. 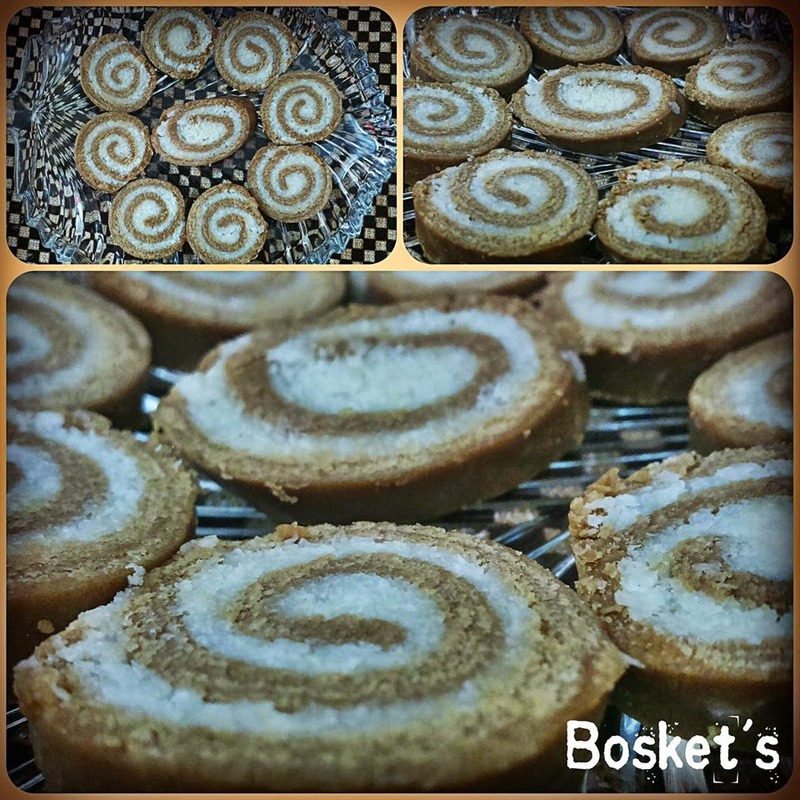 Roll these doughs separately like a Roti betweem two plastic sheets. Put two Rotis on one another and make a tight roll with the help of plastic. Refrigerate it for half an hour with plastic sheet wrapped onto it. NOTE: Coffee Powder can be replaced with Cocoa Powder or liquid chocolate.